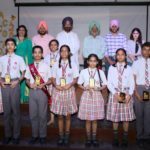 The Annual Prize Distribution 2017-2018 Ceremony at St. Soldier School Mohali was an occasion to acclaim the achievements of meritorious Soldiers who have attained excellence in academic and co-curricular spheres through their dedicated efforts and perseverance.Felicitating the achievers not only motivates them to set new benchmarks for themselves , but also spurs on their peers to aim for similar heights. S.Sukhjinder Singh Randhawa, Minister of Co-operation and Jails, Punjab was the Chief Guest. ‘We welcome you with a smile’, a melodious rendition followed by the lighting of the lamp by the Chief Guest to invoke the choicest blessings of God marked the beginning of the event. Hon’ble Principal Anjli Sharma delivered the Welcome Address and thanked the Chief Guest for sparing his valuable time. The Annual Appraisal read out by the Principal apprised the audience about the school’s targets, initiatives, achievements, aspirations ,various feats of the students, launching of new ventures etc. The students from Class I to X were awarded for their excellent performances in Scholastic and Co-scholastic fields. All rounders from all the sections of Classes I to XII were also honoured . 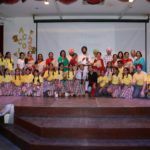 Purvani of Class V won the Junior Best Artist Awards . Smriti Grag of Class X won the Senior Best Artist Award. Nilesh from Class VI and Abhishek Chib from Class XII were the proud recipients of the Best Sportspersons Award . 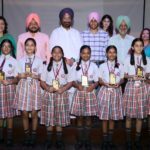 The trio of hockey winners State Champion Abhineet Singh, Jaskaran Singh and Ishqpreet Singh were honourned with the medals for their outstanding achievements in the field of sports. Scholar badges and ties were also awarded to the students for their consistent academic brilliance during the past five years. 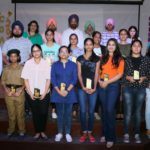 From the Junior Wing Section- Gracy, Bhavleen, Tanujdeep Singh and Ashmeet and from the Senior Wing – Anirudh Malhotra, Muskanpreet Kaur, Amanjot , Kamakshi, Gurmehak Kaur, Brahmleen Kaur and Arshdeep Kaur bagged the honour. 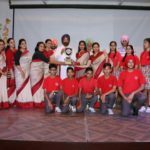 The Best House Trophy for discipline and cleanliness was clinched by Sahibzada Zorawar Singh House whereas ,the Best House Activities and Co-curricular Trophy was bagged by Sahibzada Jujhar Singh House. The Chief Guest delivered an enlightening speech and congratulated the proud recipients and their parents. A token of appreciation was given to him by the worthy Chairman Mr. Karnail Singh Brar for his motivational presence throughout the award ceremony. The event ended with the vote of thanks by hon’ble Headmistress Ms. Amrit Kalsi.